Henry, thank you for that. That's helpful. I didn't intend to build a 2.8SS on a 2.7. As I said, the 2.8SS is a new possibility to me, and it's VERY interesting. I have a 2.7RS now, I love it, and have become a huge MFI fan. Whether I build this new motor on a 2.7 or a 3.0 turbo case is an easy choice since I don't own a second engine yet, and I don't intend to use my existing 2.7 as the core. The idea is to find a core whenever a good opportunity arises, and slowly collect parts, and then slowly build a new high performance motor which would eventually replace the one I have now. If it takes three years to get it done, fine. A couple more questions if you don't mind. One thing that appeals about the 2.8S is its longevity, especially if one keeps the revs down. In other threads, Grady and Steve W. have both attested to its durability and power, suggesting a safe 275-280hp is reasonable, without having to refresh every 25-50 hours. It could function in a street car as well as a track/racing car. How does the 2.8SS compare in that regard? How often would it require refreshing? And if one were to keep the revs limited at or below say 8,000, would that substantially increase the longevity of the motor--or would you just be defeating the point of the engine in the first place by keeping it out of the high end of its usable power band? The bottom line for me is this: as much as it's far more economical to buy a stock(ish) 3.6, or lightly built 3.2, my ideal dream motor would be a reliable, 300 hp, twin plug MFI race or near-race engine, with super sharp throttle response, a knee-buckling sound, and something sweet to look at. I don't care about fuel economy in this case. Whatever gets me to that goal is where I'll go, be it a 2.8SS or 2.8S, or 2.8RSR or 3.0RSR. A 2.8 SS should by design out live other 2.8 configurations. 300 horse power is doable and longevity is strictly a function of RPM. There is no reason why a 2.8SS shouldn't last 100K miles if trips to 8000 are few and far between. For what you are desiring I would guess that a 3.2 SS MFI would be more sensible. Good torque, 7600 red line and and the look feel and sound of the racing RSR. Could you describe in more detail what you think a 3.2SS would be made of? SC, Carrera or 3.3 case. PMO Velocity stacks and air filters. Based on the 3.2SS you described, what would be the hp made?? Basically, is the 3.2SS the next logical step "up" in HP vs. the 2.8SS?? Would this set up benefit with the 66mm crank?? Cams and compression will determine ultimate performance but with 10.5 :1 and DC62 cams I would predict 320 at 6900-7100 and 280 + ft/lb. If revving the engine to 8000+ is important to you. Last edited by Henry Schmidt; 10-29-2006 at 05:26 PM..
Have you ever thought about fitting 4 valve watercooled heads on these engines? Can 4 valve heads fit on SC case? In theory, GTR3 RSR heads should fit. 962 water cooled heads should also fit. Just guessing. You guys with later model experience will have to chime in. bump , does anybody know what how much work it is to mod SC heads to take MFI injectors?? according to PET, SC's have injectors in the intake runners, not in the heads?? I simple three step machine process is all that is necessary. Most shops familiar with this process should be able to perform the service for as little as $180. 1) The intake ports are not round at the top, to make way for the injectors. There is an indentation. I'm going to use carbs. Should I consider having this area welded and then machined? Some other way of returning them to a cylindrical shape? Because otherwise it will leave a pocket below the carburetor intake manifold. 2) I'm most likely going to run SC cylinders, with the CE rings. But the 3.2s didn't use sealing rings - something was slightly tapered. Was it the head sealing surface, and if so do I need to do something about that or is it OK as is for use with CE rings and stock SC cylinders? The heads are fine. Just order the PMO manifolds that are designed for this application. The heads are flat, the cylinders have a slight taper. The SC cylinders will work fine. Last edited by Henry Schmidt; 03-05-2007 at 03:13 PM..
you mentioned earlier , that those are to big? what's the drawback of using bigger 3.2 heads?? can't get too much air in there no? you think those 3.2 heads are good for? I believe that the 41.5 mm intake port on the 3.2 head is too large to promote good port velocity. High port velocity is necessary for maximum volumetric efficiency. Port shape and size not just port size is important for engine performance. Bigger is better only in a full throttle situation. must engines don't run full pedal all the time. I would recommend a maximum 40 mm port for a 2.8 SS with an intake manifold of 38 mm. This lip at the transition will assist in the control of intake pulses caused by cam overlap and is exaggerated by large duration cams. Calculate CFM for your projected max RPM and run the smallest port to accomplish that volume. With a 2.8 @ 7600 RPM 38 mm manifold is appropriate. Add 2 mm to the port for pulse control and you win. 8500 race on a race engine with proper gearing and bigger is better. thx again Henri , you're a star ! I used the PMO insulator/spacer kit as it took care of the problem, so once again Henry knows of what he speaks!! You will be fine with the PMO kit! Does the PMO insulator/spacer kit take care of this problem (if it is a problem)? How? "1) The intake ports are not round at the top, to make way for the injectors. There is an indentation. I'm going to use carbs. Should I consider having this area welded and then machined? Some other way of returning them to a cylindrical shape? 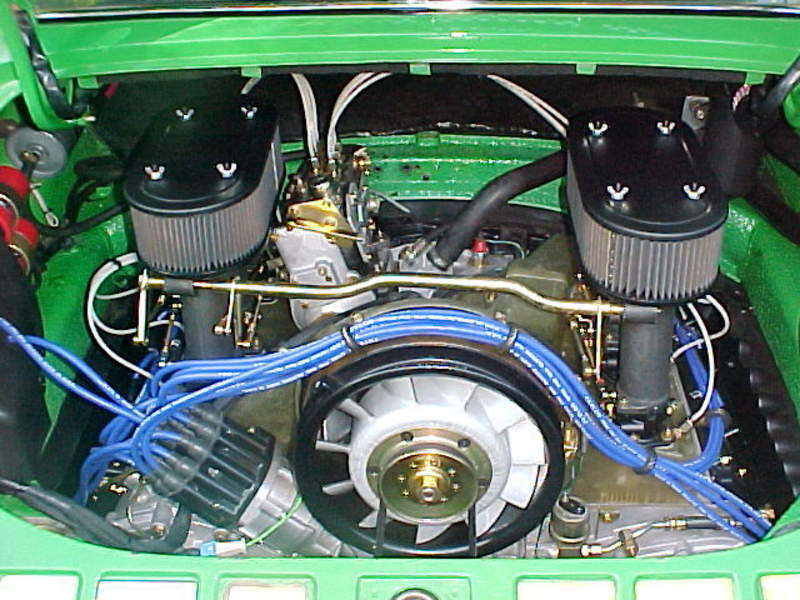 Because otherwise it will leave a pocket below the carburetor intake manifold." I used their kit for my 2.7 race motor with 38mm intake port heads, but as I recall boring the ports out from 35mm or whatever they were took care of the CIS injector pocket. But the 3.2 heads are big enough as they are for my SS race motor, so unless I do anything that pocket will be there. Sitting below a 41.5mm PMO tall intake runner and the insulators and gaskets that go with it. Maybe that is not a problem - a kind of partial anti-reversion step? I'm a bit dubious about such serendipity. And thank you, Henry, for telling me what was beveled. When one is basically an engine assembler rather than a real builder, this is really appreciated. The insulator and associated gaskets cover over the cut out for the injector. I guess there there is still a small recess inside the port once you cover it up, but it is sealed at least. I can't think of another bolt on way to fix this problem.